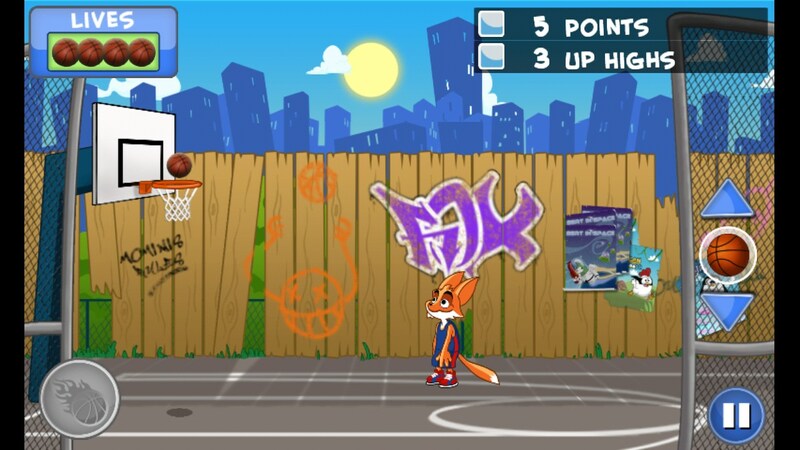 Jimmy Slam Dunk – Games for Android 2018 – Free download. Jimmy Slam Dunk – Throw the ball into the basket. 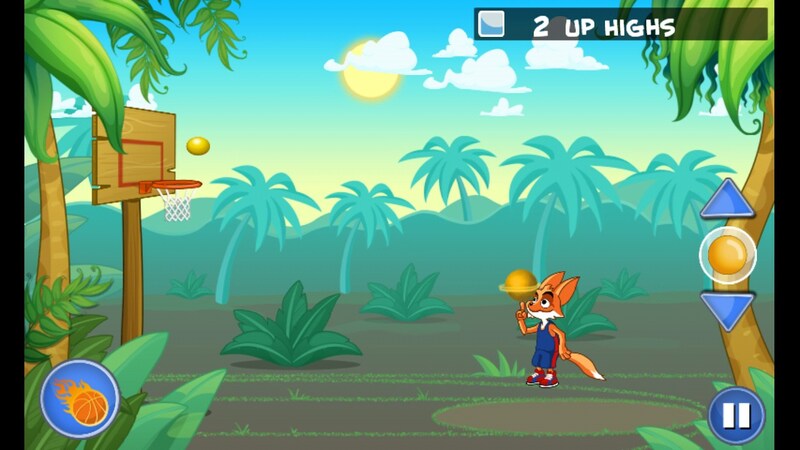 Jimmy Slam Dunk - is a fun arcade game for Android, which will teach us to throw the ball through the hoop. We will play for a talented young fox Jimmy, who wants to become a great player like Michael Jordan. Developed a game studio MoMinis, which we already know well for entertaining puzzle Bouncy Bill and crazy runner Ninja Chicken . 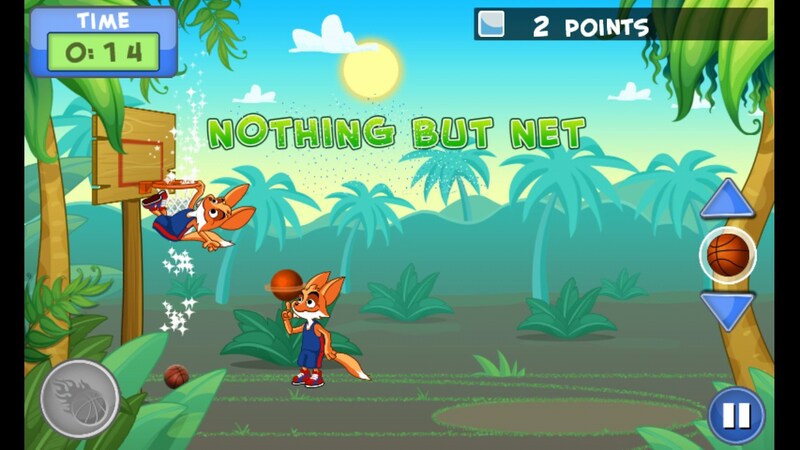 The graphics in the game has remained at the same high level, it is a nice cartoonish animation, very cute and funny character juicy bright picture. The main thing is to be in such arcades - is fascinating geimpley, and here it is. To make a throw, you need to set the direction and power of the throw. Initially it may seem that the game is very simple, so as you can see the approximate trajectory of the ball, and score a straight ball very easily. But the thing is that the job will require vases is beautiful and virtuous goals, not banal clogging balls. The game has a few variations on how the ball can fly into the basket. 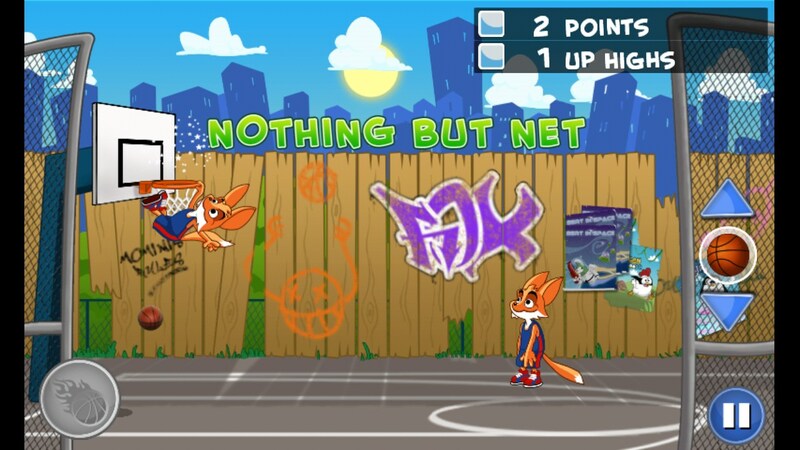 For example, if you throw the ball high beyond the screen and get into the ring, you get extra points for height. If you throw the ball high, and with a direct hit, he will fly into the ring, we see a beautiful animation, like a fox jump throws it into the ring. Tasks lie in the fact that we are at a certain distance to get in the ring and to meet certain conditions. For example, it may be a direct goal, without touching the ring or a high throw. Also at the levels we will limit the number of lives, that is, you can only miss a certain number of times. Convenient operation and rapid development of the game. The game is distributed free of charge, while it will be available only major company with the missions, but to get access to the features "Freestyle" and "survival", you must purchase vnutreigrovye items. In fairness, the game, respect your competitors, quite stingy. Jimmy Slam Dunk - Basketball is a fun arcade game for Android-devices, which you can play for hours and not notice the time on the clock. The disadvantages are the lack of Russian language and monotonous gameplay.